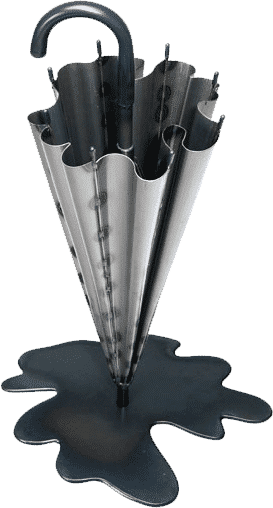 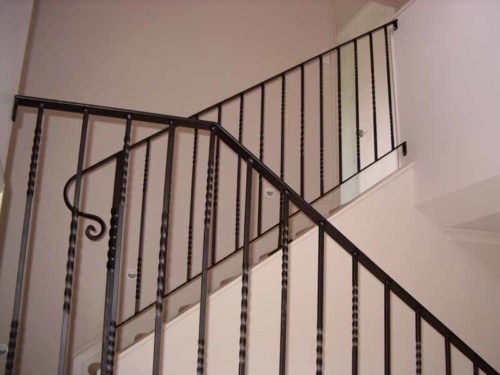 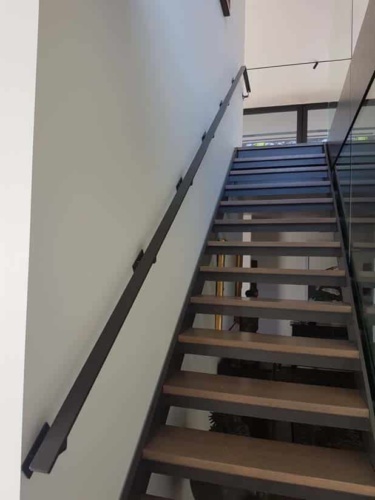 Internal hand rail for staircase, finished in black powder coat. 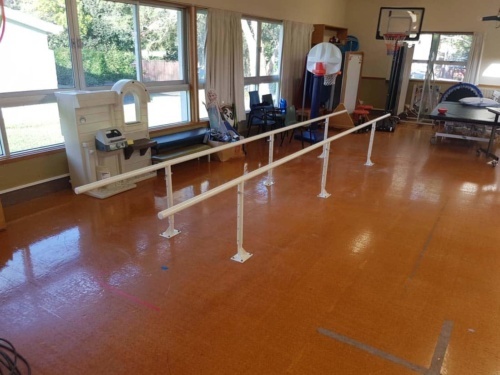 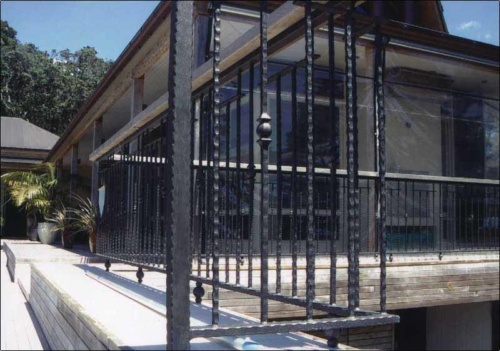 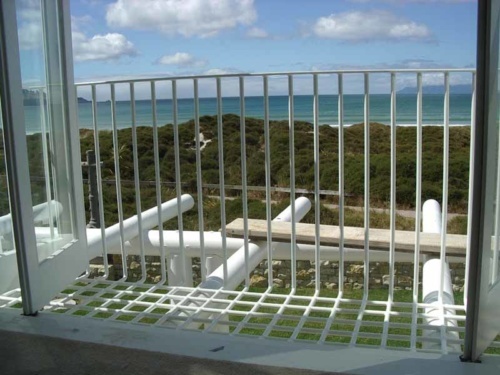 Custom made galvanised and powder coated hand rail. 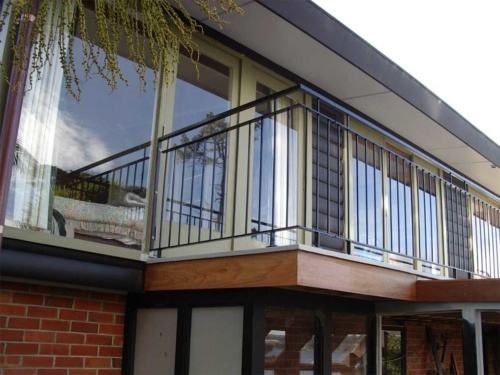 External balcony rail, zinc arc spray finish with sealer.